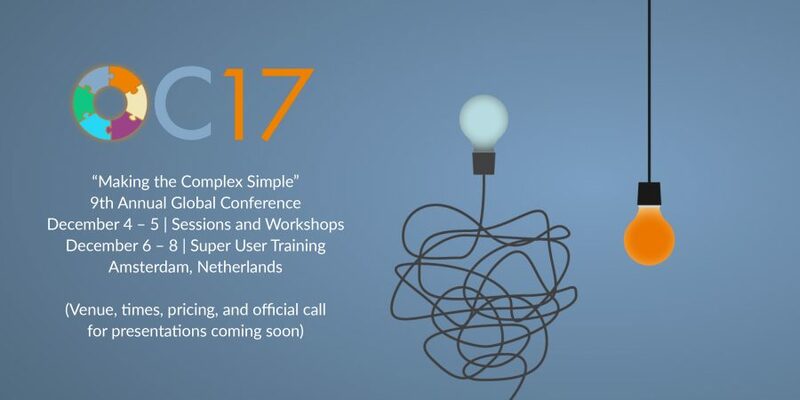 OC17, OpenClinica's 9th Annual Global Conference, will take place in Amsterdam, on December 4th and 5th this year. This year's theme? "Making the Complex Simple"
Exact venue, times, pricing, and official call for presentations all coming soon. In the meantime, please let us know if you're interested in attending!